Participants in the LACoFD's Women's Fire Prep Academy practice drills with a 24-foot ladder. A participant in the LACoFD's Women's Fire Prep Academy gets ready to train on a 100-foot aerial ladder. Participants in the LACoFD's Women's Fire Prep Academy do warm up activities. 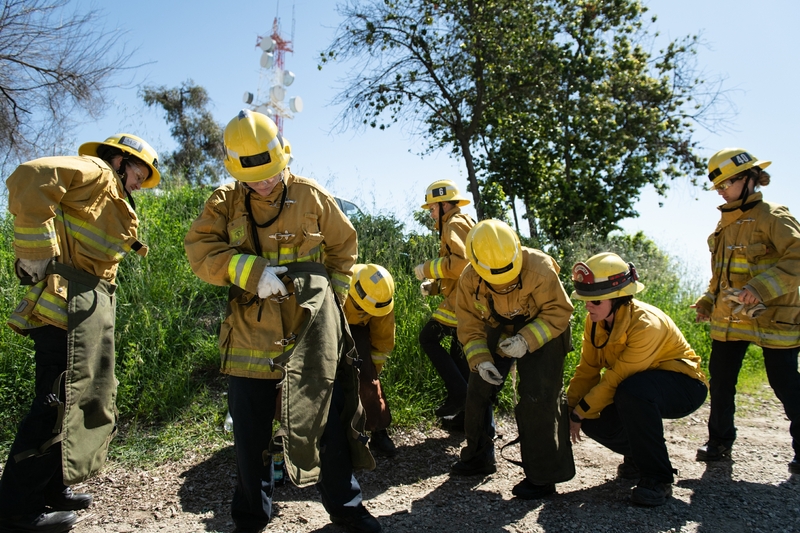 Participants take part in the LACoFD's Women's Fire Prep Academy. Participants graduate from LACoFD's Women's Fire Prep Academy. When Patricia Sweeney, 40, was 9 years old, she attended her uncle’s funeral in Nova Scotia. A volunteer firefighter, he died while responding to a fire call. It was at that moment the Canadian native decided she too wanted to become a firefighter like her uncle one day. Soon, a move to the United States, marriage and life as a stay-at-home mom to a daughter, 7, and son, 3, would delay her dreams. 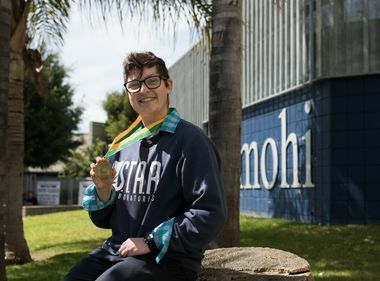 But it was when her second child, a son who would have been four this year, passed away at birth, her determination to become a firefighter sprung forth once again. Sweeney soon earned her EMS (Emergency Medical Services) certification and is currently an EMT with Firstmed Ambulance. 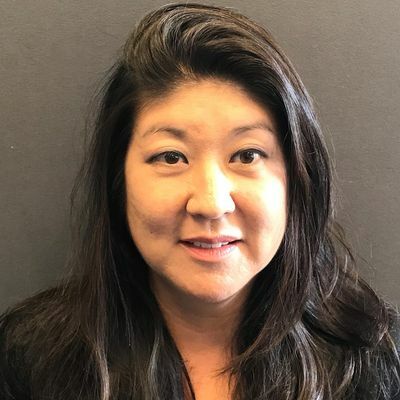 She also discovered the Los Angeles County Fire Department’s Women’s Fire Prep Academy and is a graduate of its second class. 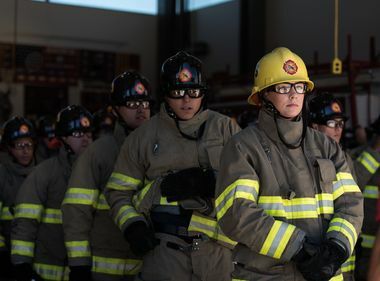 She recently took part in the program’s fourth class as a volunteer, joining 80 women who are all working toward one day becoming a firefighter. For the past six weeks, these women have been practicing various firefighting drills and lessons — such as climbing a 100-foot aerial ladder and handling a 24-foot ladder and water hoses — so they can be ready for the upcoming Firefighter Trainee Exam with the county. If accepted, they will need to graduate and pass other testing requirements before becoming a probationary firefighter. And hopefully one day, a full-time firefighter in one of the county’s 174 fire stations. 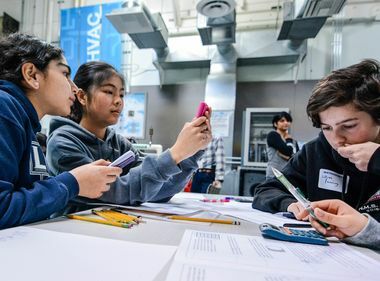 Edison International recently partnered with the LACoFD’s Women’s Fire Prep Academy, which was founded in 2016. Edison provided a $20,000 grant to the LACoFD Foundation, part of which will help increase diversity in the county’s firefighting workforce. Beth DiRocco, 37, is a graduate of the Women’s Fire Prep Academy class 2 and is now a full-time firefighter out of LA County Fire Station No. 106 in Palos Verdes, one of the 48 female firefighters among the county’s 3,000 firefighters. At the final women’s prep academy training, she was an instructor teaching the use of firefighting tools, like saws, to the female cadets. 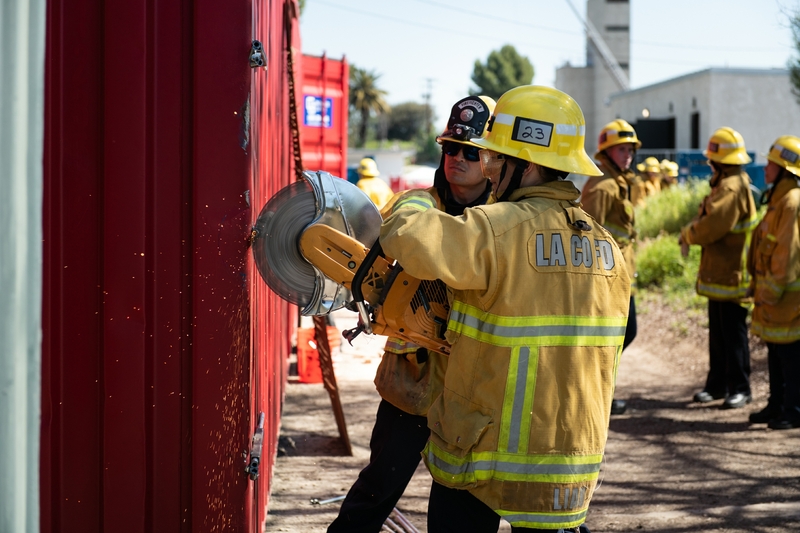 Participants learn about tools at the LACoFD's Women's Fire Prep Academy. 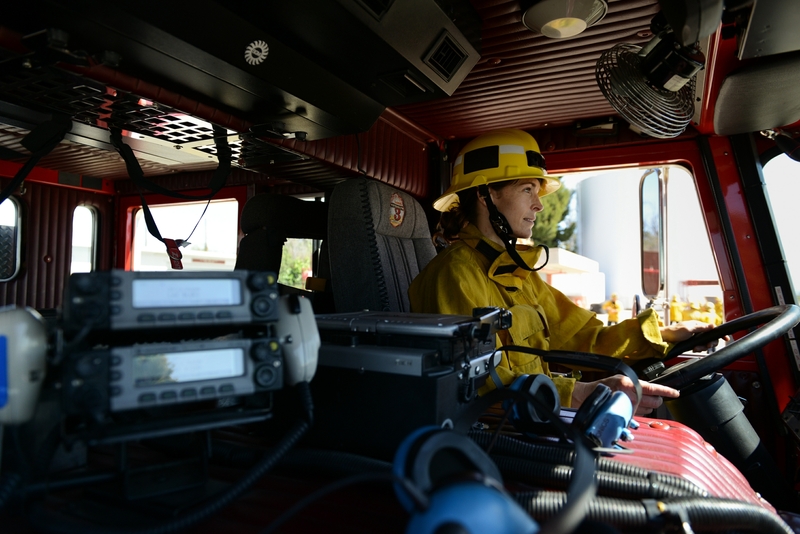 LACoFD Captain Sara Rathbun, 37, is one of the founders of the Women’s Fire Prep Academy. From its beginning, the academy has been a place for women to see that a firefighting career is possible. Rathbun, a firefighter with the county since 2006, was a teenager when she first saw a female paramedic deputy sheriff trained in mountain search and rescue. The woman was hanging out of a helicopter during a rescue and inspired Rathbun to go into search and rescue. She has since been deployed to Japan in 2011 after the earthquake and tsunami, Nepal in 2015 and Mexico in 2017 after the earthquakes there.